Looking for a faster, more effective, and non-abrasive cleaning method for industrial equipment, fire restoration, or mold remediation? Investigating cleaning methods that do not use water? Searching for a GREENER cleaning method to meet your sustainability objectives? Exploring ways to reduce clean up costs associated with secondary blast media? Dry Ice Blasting is the Answer! Dry ice blasting is the fast, dry, and non-abrasive cleaning method. Dry ice blasting uses compressed air to accelerate solid carbon dioxide (CO2) dry ice pellets to clean a variety of surfaces including industrial equipment, fire damage, and mold. Dry ice blasting effectively cleans ink, glue, paint, food, rubber, mold release agents, dirt, grease, oil, and numerous other contaminants. Learn more at BENEFITS OF DRY ICE BLASTING. 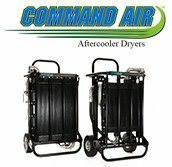 Most comprehensive line of dry ice blasting machines. Highest quality dry ice pellets and dry ice block shipped from 46 facilities throughout North America. Most experienced sales team providing customized training and support. 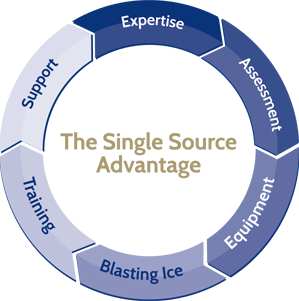 Manufacturer trained technicians on staff to service and repair all major brands of dry ice blasting machines and after cooler dryers. 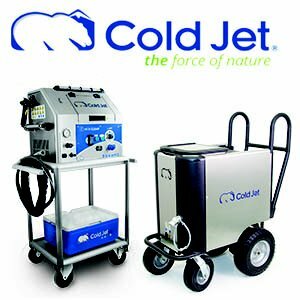 Because we offer multiple brands and models of dry ice blasting machines, we can match the right piece of equipment to your specific applications, goals, and budget. We also offer flexible rental and lease-to-buy options. 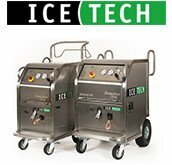 Learn more about our dry ice blasting machines. Learn more about specific applications for dry ice blasting. Learn more about the 2017 Tax Cuts and Jobs Acts here.